It seems like back to school and teacher cards are all the rage at this time of year so it’s perfect timing for the Friday Mashup 173 back to school challenge. The challenge this week, was to create a ‘school themed’ project, or to create a project with ‘your school colours’, or ‘mash it up’ and create a project that incorporates both challenges. To play along this week, I decided to create a school themed thank you card. I cut the apples with my Silhouette Portrait and used SSS Lipstick Red ink to colour them. I started from outside the left edge of each apple and blended the ink inwards using a makeup sponge. To keep the apples in place while I inked them, I stuck them on the sticky part of a Post-it and used the paper part to grip. I used a gold maker (from the dollar store) and Colour Box Moss Green ink for the leaf and adhered them behind the apples with a tiny dot of Glossy Accents. For a little extra texture, I scored veins on each leaf using my bone folder. 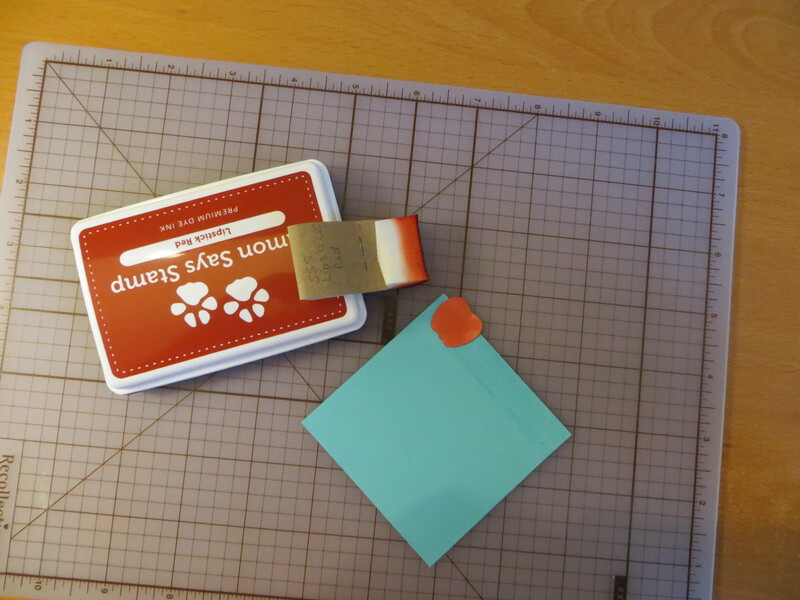 To begin assembling my card, I cut the ruler shape from some Fan Fair Stampin’ Up designer series paper. The wide-lined background paper is from the Lawn Fawn Dewey Decimal petite paper pack. I used a piece of red textured heavy weight cardstock for my cardbase and adhered the lined paper using my tape runner. Using ‘Not Quite Navy’ ink, I stamped the Thank You sentiment. 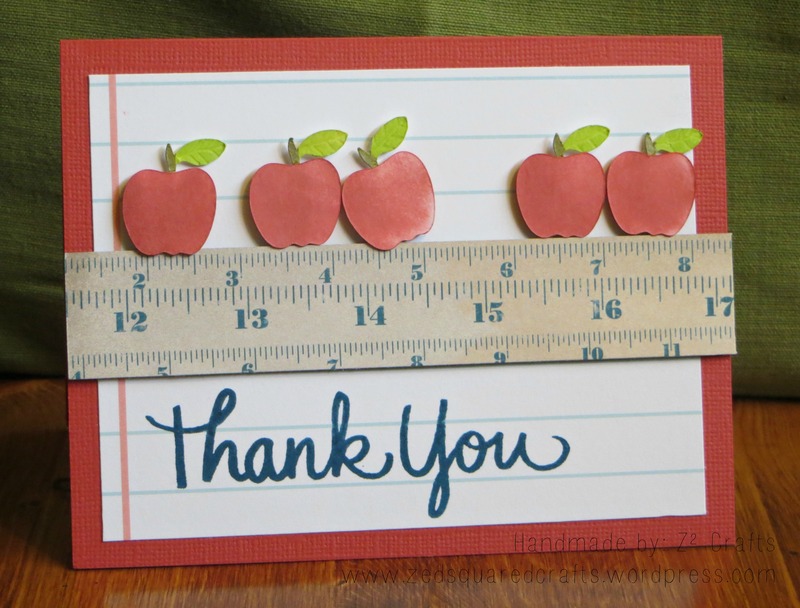 To add some dimension on the card, I used foam tape to adhere the apples and ruler. These back to school cards are really getting me into the fall spirit! Thanks for dropping by!